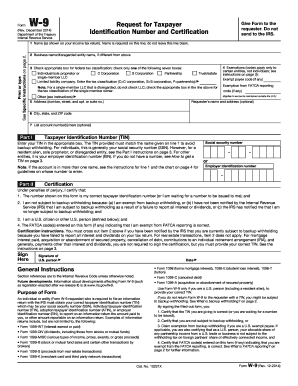 Illinois Form Co 1 is not the form you're looking for?Search for another form here. Who needs the CO 1 Form? 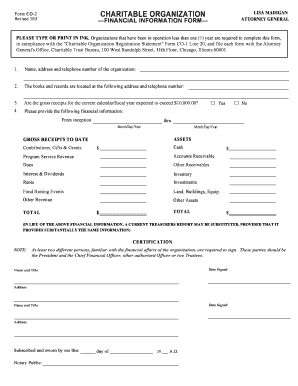 The CO 1 Form is the Charitable Organization Registration Statement Form that must be submitted by all charitable organizations, trusts, professional fundraisers, solicitors, and consultants to get registered with the Attorney General’s office prior to soliciting or holding any charitable funds in Illinois under the Charitable Trust Act and the Illinois Solicitation for Charity Act. What is the CO 1 Charitable Organization Registration Statement for? Submission of the the CO 1 From is the legally approved way to inform the Illinois Attorney General in order to get registered or to renew registration on an annual basis according to the regulating Charitable Trust Act and the Solicitation for Charity Act. When is the CO 1 Registration Statement due? As required by Illinois law, the Charitable Organization Registration Statement Form must be filed before the claiming charitable organization is allowed to operate in the State. Should the Charitable Organization Registration Statement Form be accompanied by any other documents? Depending on whether the form is being submitted as a registration or registration renewal statement, there is a considerable list of required supporting documents and applicable fees, which can be checked here: http://www.illinoisattorneygeneral.gov/charities/co-1instructions.pdf. How do I fill out the the CO 1 Form? And a number of other organization details. 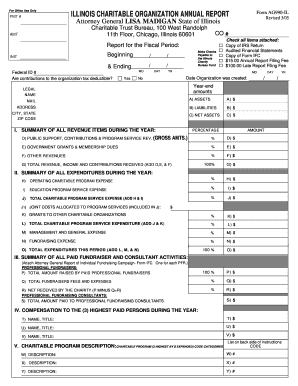 Where do I submit the completed the Charitable Organization Registration Statement Form? One copy of the Registration Statement CO 1 Form and all the applicable supporting forms are supposed to be filed with the Office of the Attorney General, Charitable Trust and Solicitations Bureau at 100 West Randolph Street, 11th Floor, Chicago, Illinois 60601. Contact Us Contact Us - En español Contáctenos/Formularios ... This form is required from all charities that are registering with the Attorney General's Registry ... Form RRF-1 must be filed annually within four months and fifteen days after the end of an ... Checklist for nonprofit organizations seeking to hold charitable raffles .